F R E E D O M. She would die hours later, forgiving her executioners as the passageway to eternal life. (See: Pastor Alt’s eyewitness testimony to her last Communion.) If one wants to know this great hero of freedom of speech, read what she read (See: Scholl’s Intellectual History). 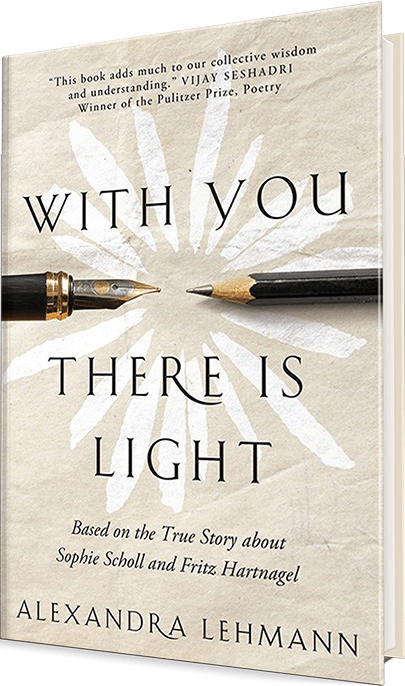 In most of her journal entries and letters, she quotes passages from books, authors, poets, and the Bible. Most of their work had been banned because it addressed the nature of freedom and the inalienable rights of an individual. These writers which Scholl read – at a great risk – helped to form this person we honor deeply today. What exactly makes Sophie Scholl (German, 1921-1943) enduring? It was her capacity to write, to love an officer in the German Army with all of this moral complexity and to speak the irrefutable truth, knowingly sacrificing her life for her conscience. The interview was ending. Elisabeth answered without hesitation. I will be forever honored that this story chose me. Judge Freisler’s lazy eye bulged out of his drawn and ghoulish face as he addressed the courtroom. His emphasis on the word “I” made Sophie shudder. Too tired to hold herself up, she collapsed, sliding down the tall wooden defendants’ bench. He could do whatever he wanted with the accused. The audience of officers forced to attend this trial shifted uncomfortably in their seats. Sophie wished again that she could see her brother and Christoph. She began to pray without closing her eyes. She clasped her hands and held them together tightly on her lap. She searched her mind for a biblical passage or a psalm. Nothing came to her. Then a memory. Once again, his screeching voice rocketed through the courtroom, ricocheting off of the walls as though it were machine gun fire. 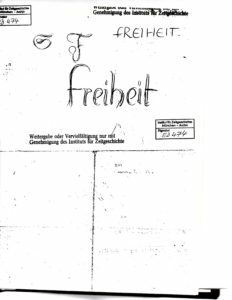 “I shall proceed as follows.” Freisler created his own judicial procedures. Pleased with his senseless rhetoric and intoxicated with power, he enjoyed the spellbound audience that hung on his every word, mistaking their rapt attention for respect and admiration. “As we begin today’s session of the People’s Court,” he paused here and hunched his shoulders so that his long neck disappeared, “of the Great German Empire…” He trailed off. He wasn’t capable of continuing this line of thinking. He slammed his fist on the table, gesturing wildly, and began ranting about the oath that all Germans had to swear to the Great German Empire. Sophie cringed as he repeated himself. Most of her life she had tried to avoid people like this, the ones whose minds had been warped and destroyed by the sickness. Another memory flashed in front of her so quickly that she hardly had the time to fasten on to it. What about her days in the Hitler Youth? She swooned forward. The guard next to her helped her up. Sophie once believed. And if she reminded the judge now that she once even taught their ideology to others, could she save herself? With due respect to Sophie’s sister, I think she was a hero – even if that characterization would have bothered her. Yes – she did the “right thing” – but at a time when doing such could cost a person his/her life. Few, so few, did what she was willing to do in standing up against Nazi leadership. 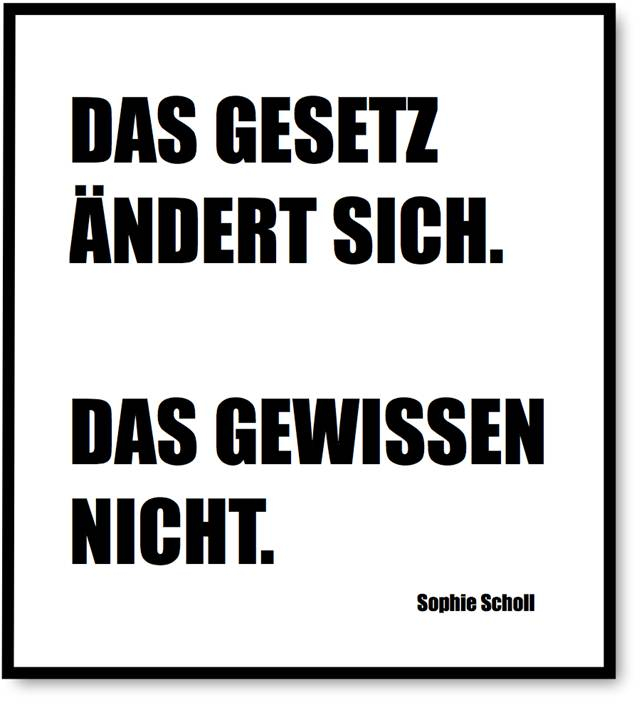 I think Sophie Scholl was, undoubtedly, heroic in her actions.